Throughout the year it can be hard to step out of the constant flow of school, extra-curricular activities, work, social media, news feeds, travel, and at-home routines. Even the care-free (yet immensely passionate) experience of summer camp presents a constant flow where everyone challenges themselves and each other to make the best out of every moment. It is easy to become so busy that we forget to give thanks. Many wonderful Vega traditions are intended to help us appreciate every moment. There are relatively new traditions, like the Golden Loon Award, and historic traditions like Sunset Circle, that help us to connect and reflect as an entire community, while taking a few important moments to embrace an important Vega Value – choose gratitude. Now that December is upon us and we have had over three months of “real world” routines and chores, it seems we may need to dig deep to reach a level of sincere appreciation. It’s well researched and proven that gratitude leads to happiness, so it’s important to fit acts of appreciation into our daily lives. 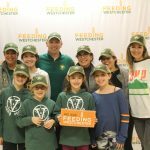 We are proud to have been a part of the Feeding Westchester Community Scoop-A-Thon that took place on Tuesday, November 27th as part of #givingtuesday. This fundraiser helped provide food to those in need, and also let us share our Vega Values of gratitude, empathy, integrity, unity and believing in yourself with a small group of the Vega community (and we are actively looking for more opportunities like this one!). We believe strongly in giving back to the community and thank all of you that took time to participate, either in person or by your support on our social media pages. We have so much to be thankful for and having all of you as part of our lives is top of our list. Thank you for believing in us, our vision, our traditions and our values. 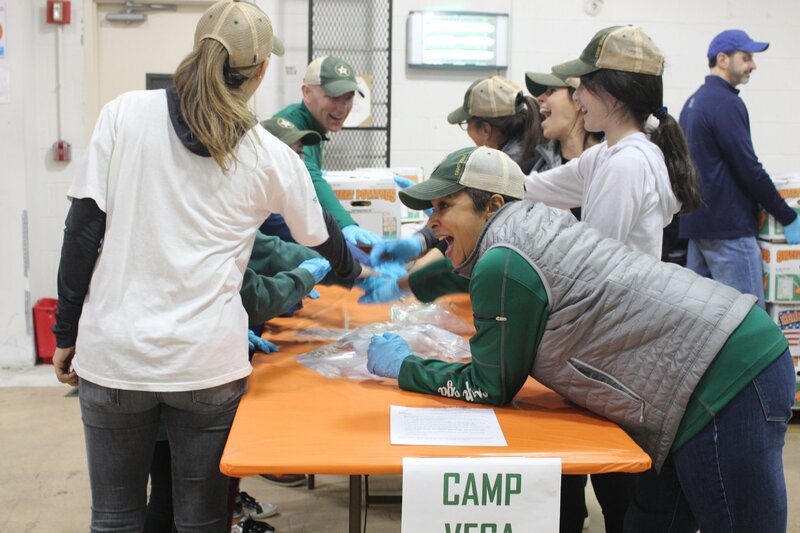 Camp Vega is what it is because of YOU! From our families to yours, we wish you a holiday season filled with peace, gratitude and wonderful memories.